Abstract—Radio frequency identification (RFID) is a booming technology which identifies objects automatically. As the low-cost passive tag in RFID system lacks computational, storage, power, and communication resources, lightweight authentication protocols are necessary for security and privacy issues. The HB-family has been developed since Hopper and Blum proposed the HB protocol in 2001, which is a lightweight authentication protocol for RFID system. Afterwards, many improvements have been developed based on the HB protocol, such as HB+ in 2005, HB-MP in 2007 and HB-MP+ in 2008. In this paper, we propose an improved protocol which is a secure and lightweight. We give the security and performance analysis to prove its advantages over past HB-family protocols and its practicality in reality. Index Terms—RFID, authentication, lightweight protocol, HB-family. Ziyi Lin is with the Department of Computer Science, Yonsei University, Seoul, 120-749, Korea (e-mail: linzy@emerald.yonsei.ac.kr). 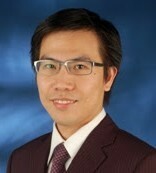 Joo Seok Song is with the Department of Computer Science, Yonsei University, Seoul, 120-749, Korea (e-mail: jssong@emerald.yonsei.ac.kr). Cite:Ziyi Lin and Joo Seok Song, "An Improvement in HB-Family Lightweight Authentication Protocols for Practical Use of RFID System," Journal of Advances in Computer Networks vol. 1, no. 1, pp. 61-65, 2013.